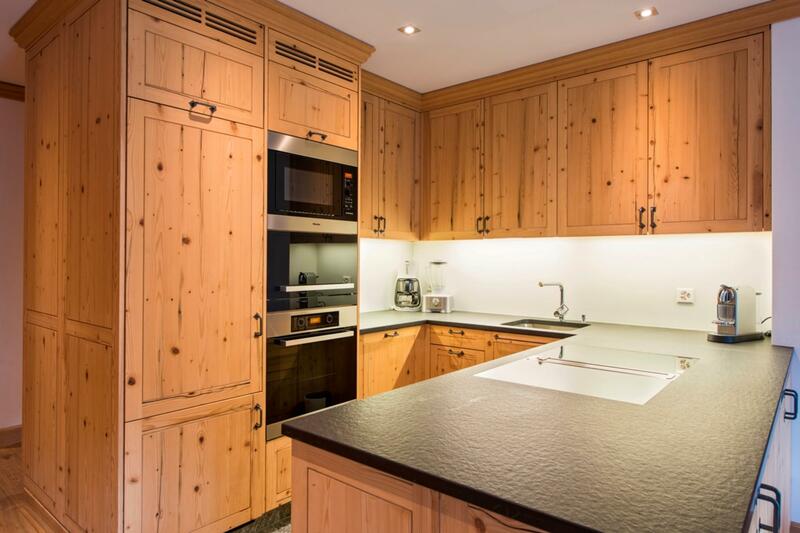 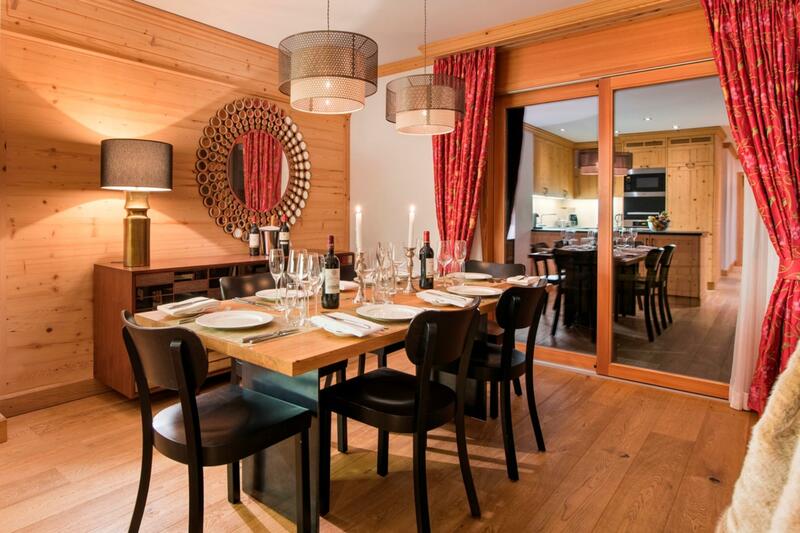 Perfect for large groups, Chalet Shalimar sleeps 20 people in ten bedrooms. 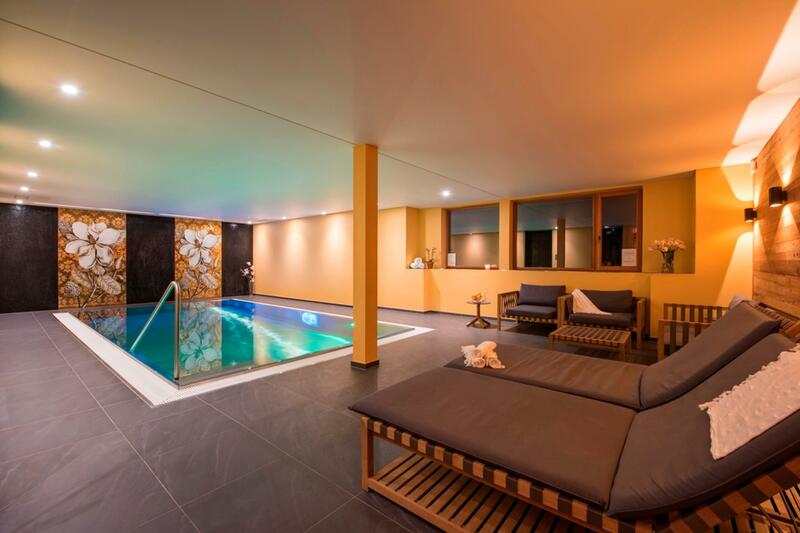 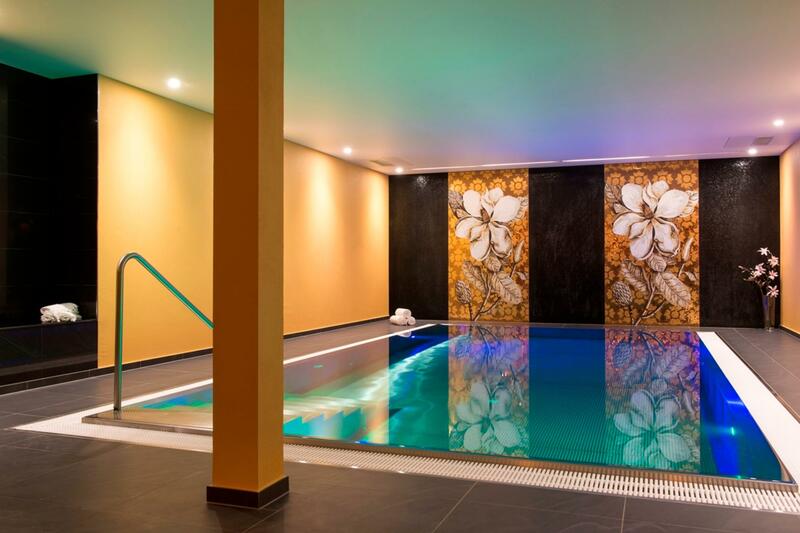 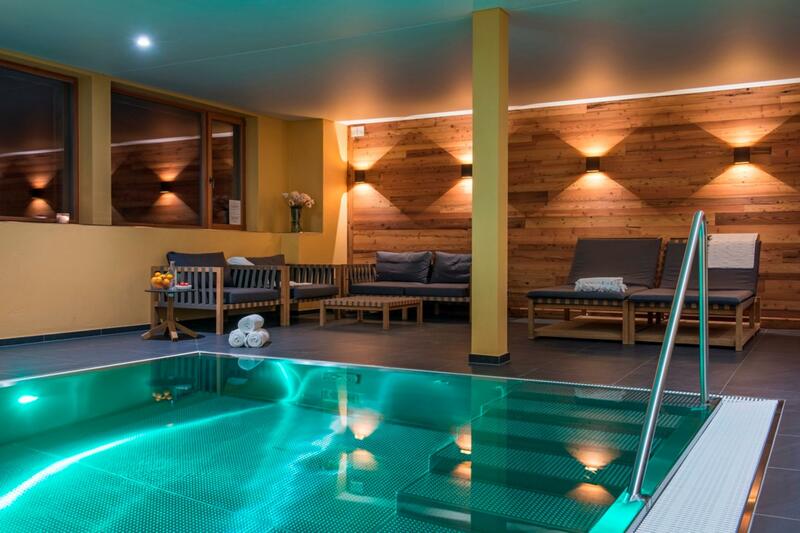 The indoor swimming pool and spa provide the perfect spot to relax and unwind after a hard day on the slopes. 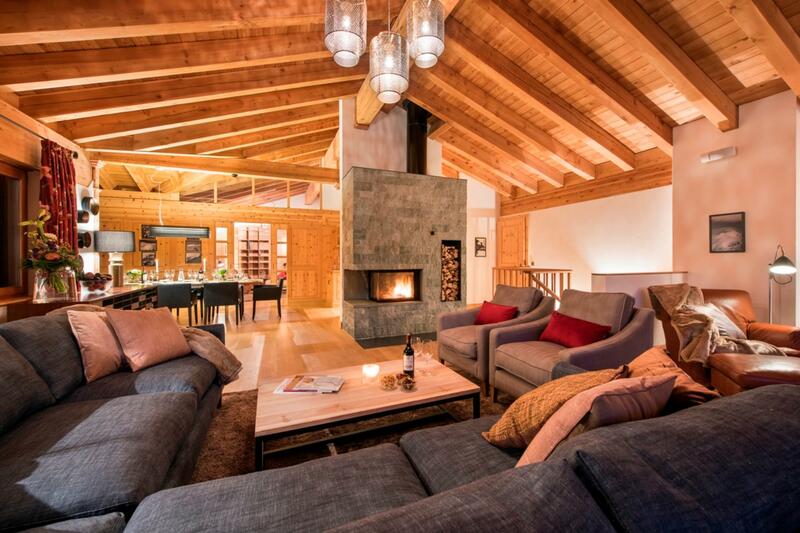 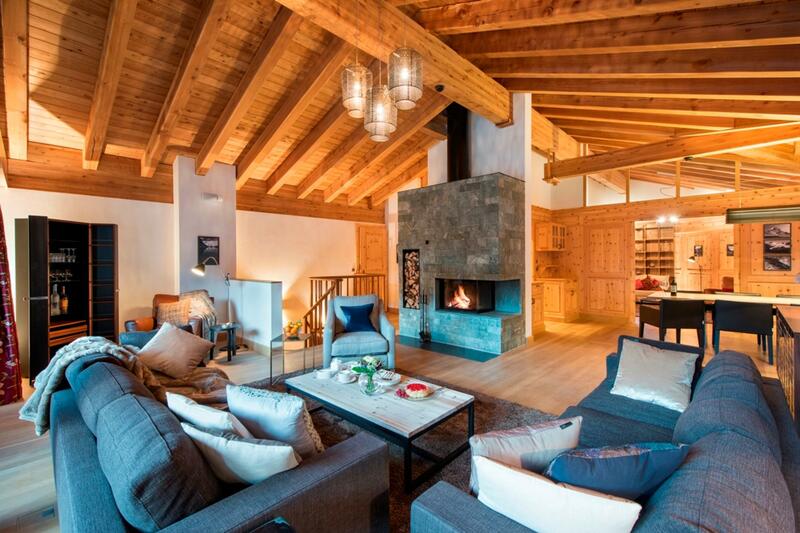 Chalet Shalimar is one of Zermatt's hidden treasures. 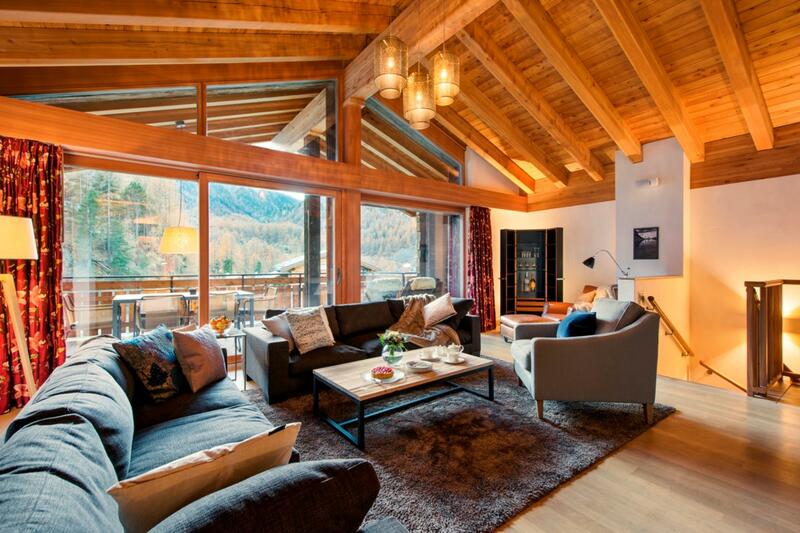 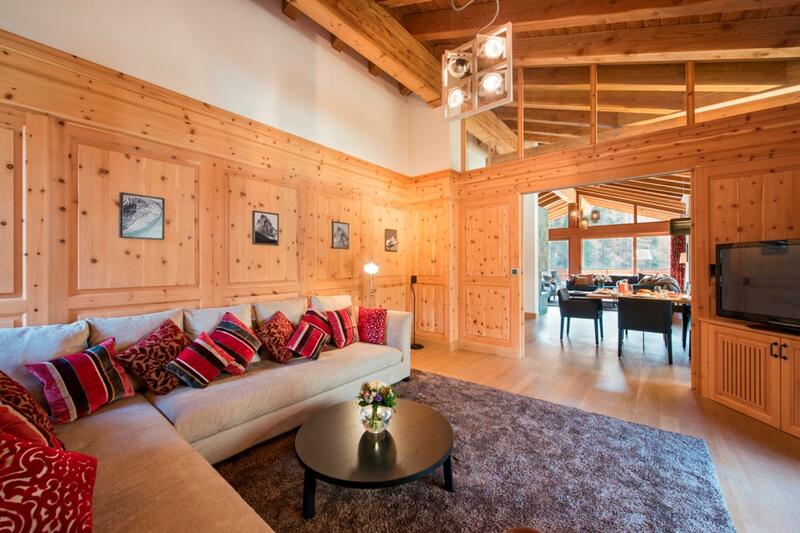 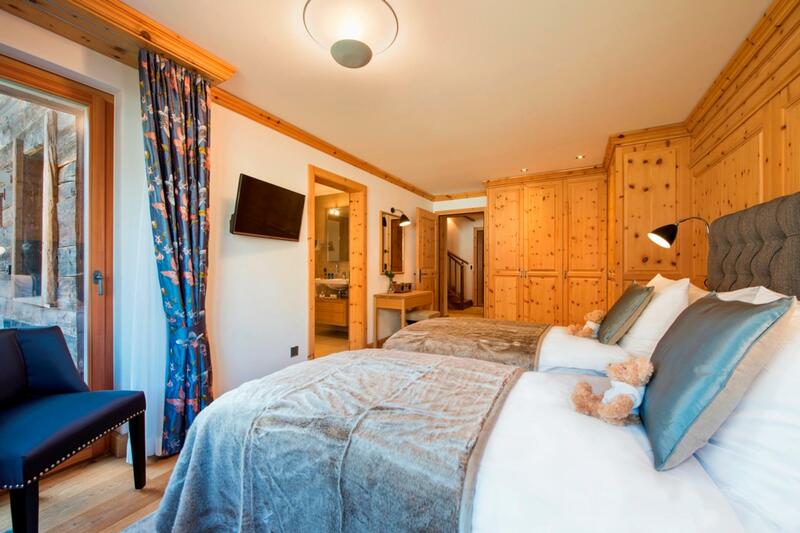 Nestled away from the hustle and bustle in the heart of Winkelmatten, Chalet Shalimar is a haven of serenity and calm. 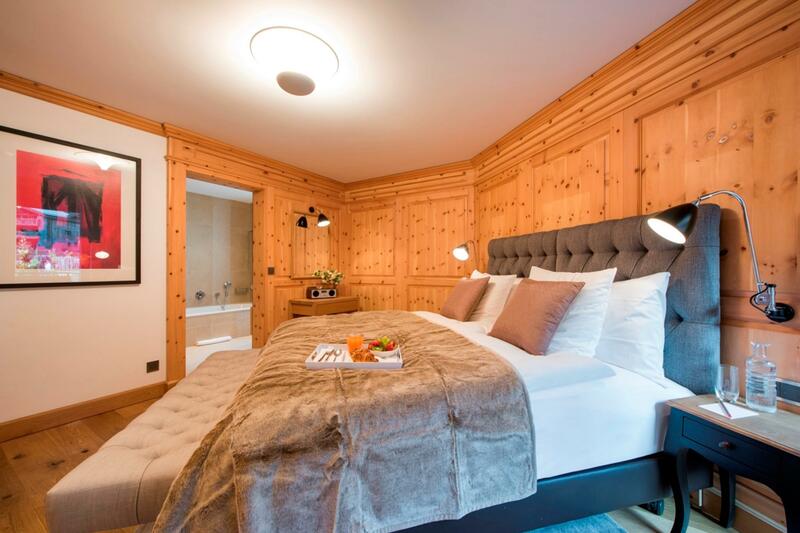 The centre of Zermatt is just a 15-minute scenic walk away or a short ride in an electric taxi. 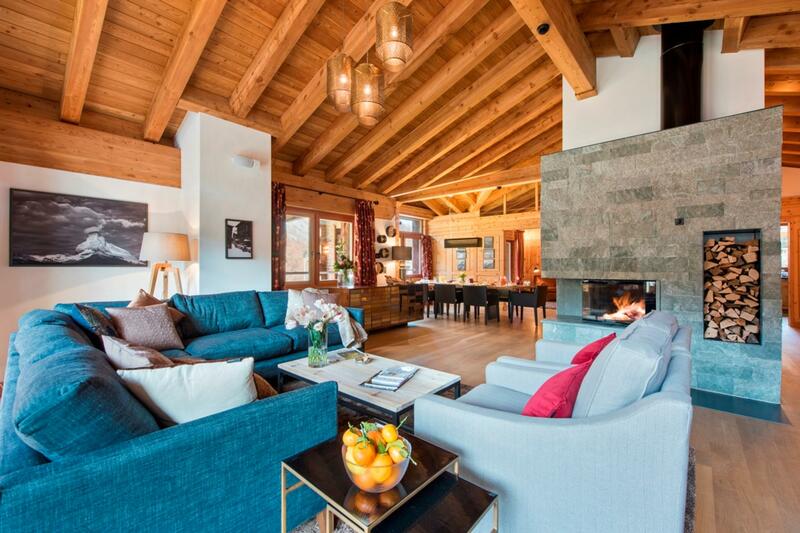 An ideal destination for the most discerning skier, you can ski to and from the chalet (snow permitting) and the gondola nearby takes you up to the glacier paradise. 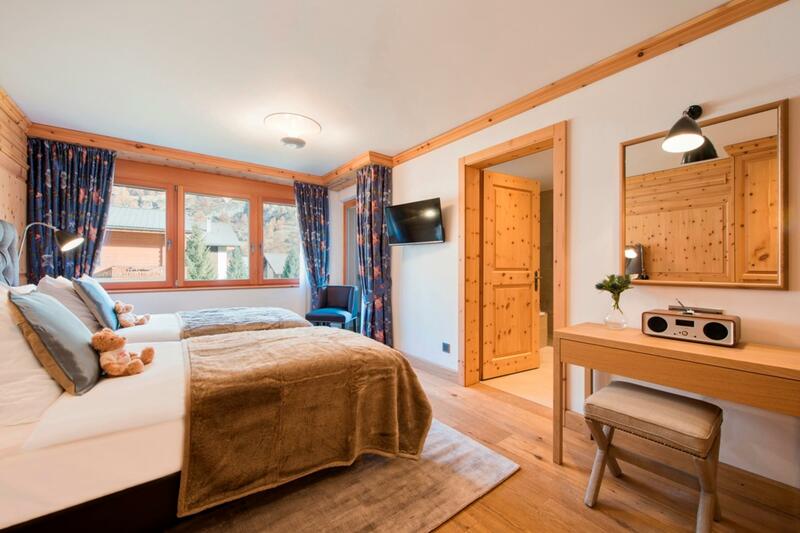 Its perfect positioning allows views of the world renowned Matterhorn that are arguably some of the best in the resort. 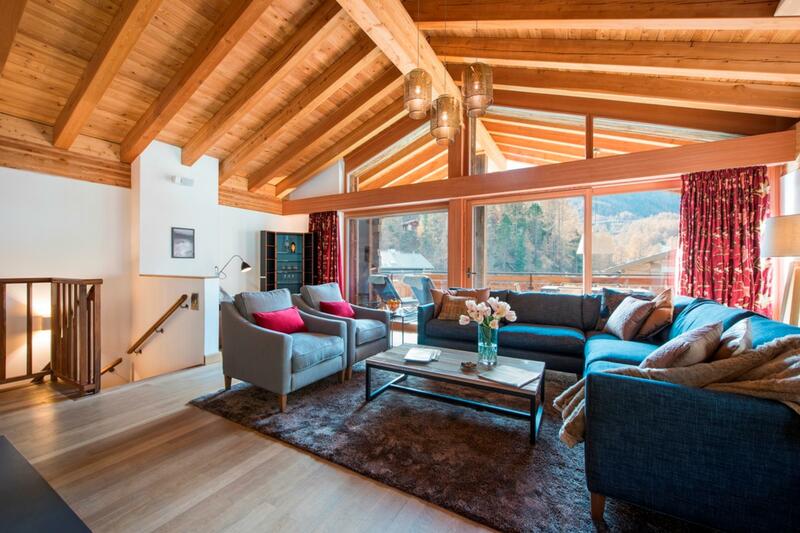 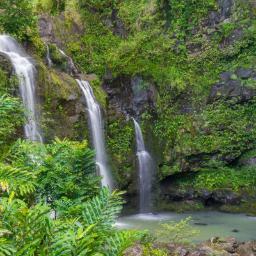 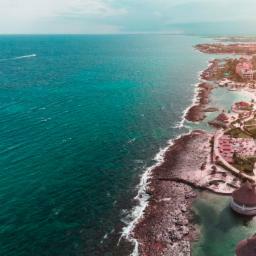 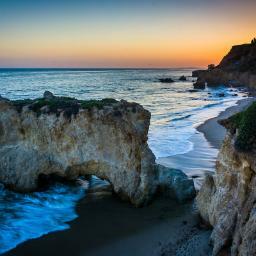 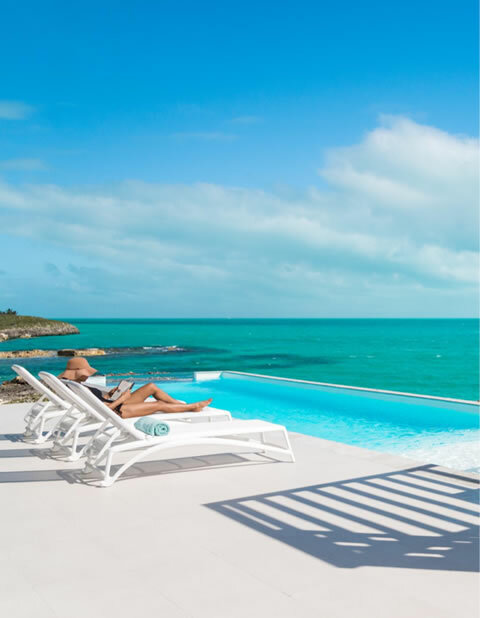 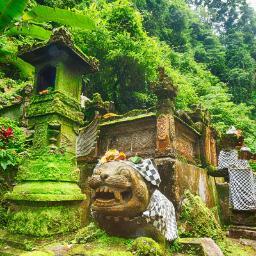 Each apartment has a perfect view of this dramatic, breathtaking peak from a balcony or a terrace. 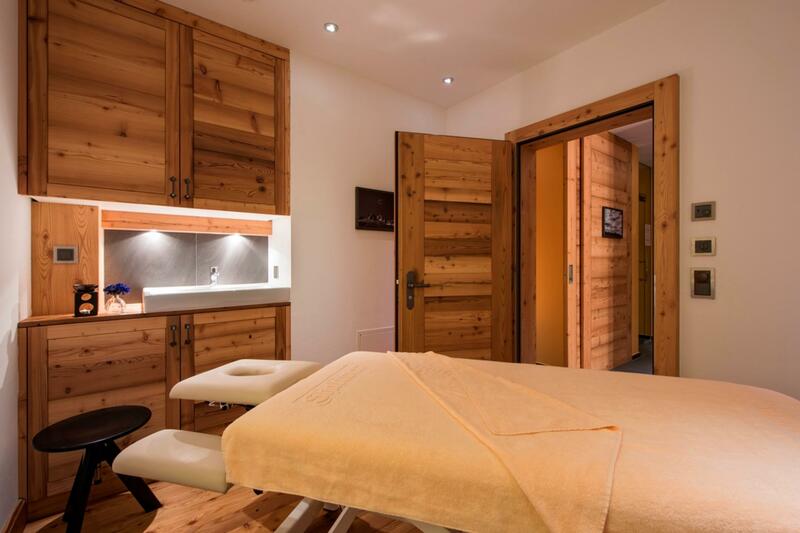 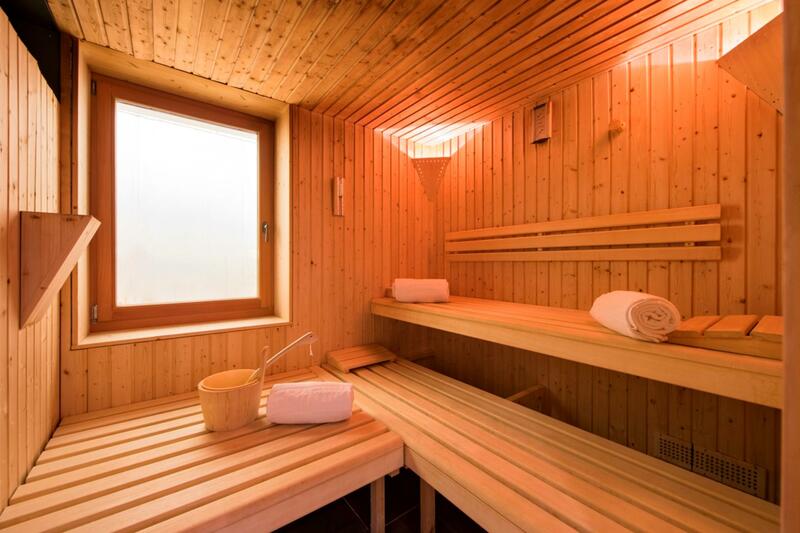 The wellness and spa area in Chalet Shalimar is at the heart of the property with an indoor swimming pool affording wonderful views of the Matterhorn, sauna, hammam, and a massage room all on the ground level of the chalet. 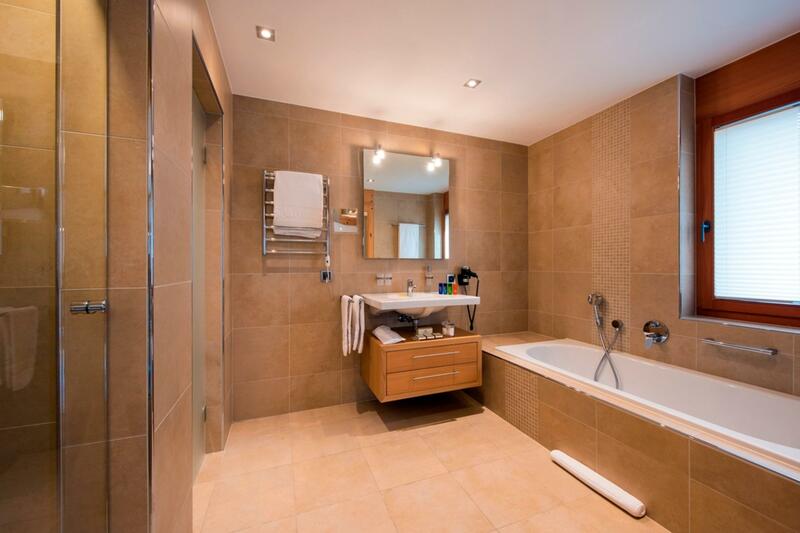 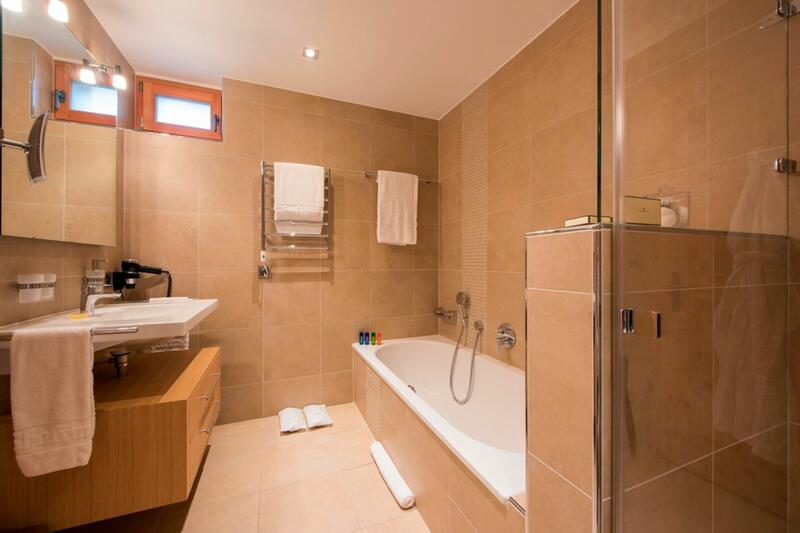 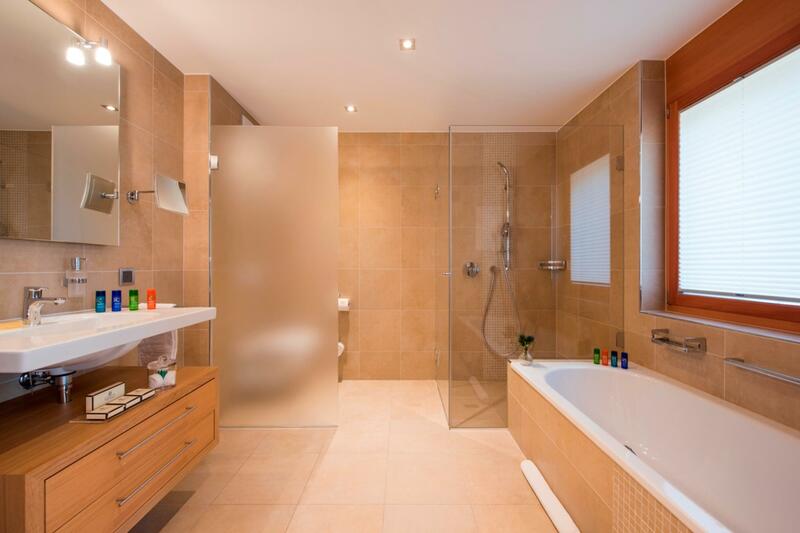 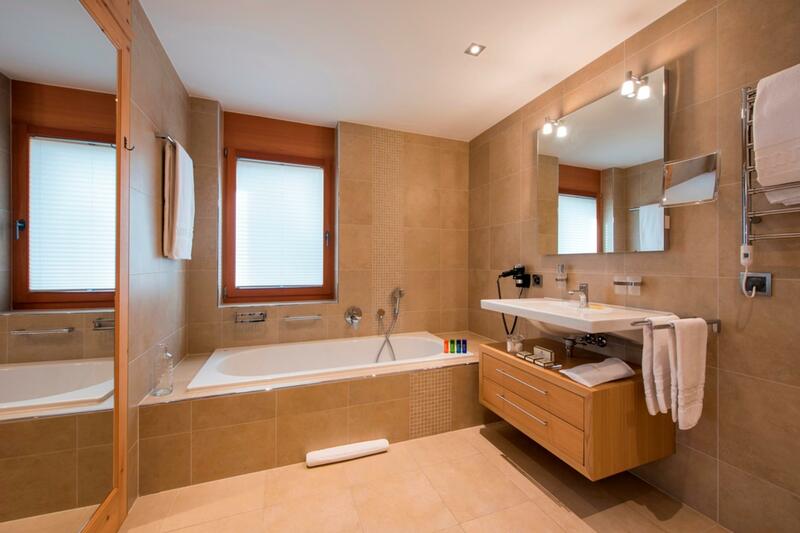 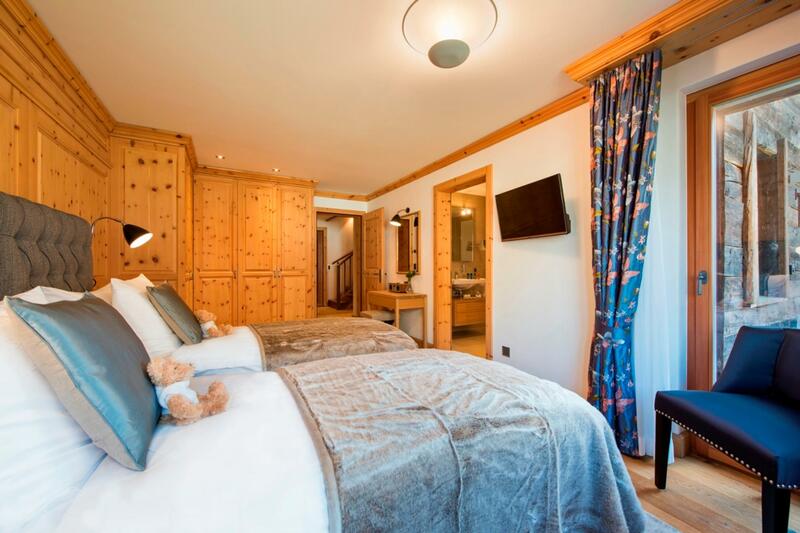 Chalet Shalimar sleeps up to 20 people in ten twin/double bedrooms, all with en-suite bath and shower rooms. 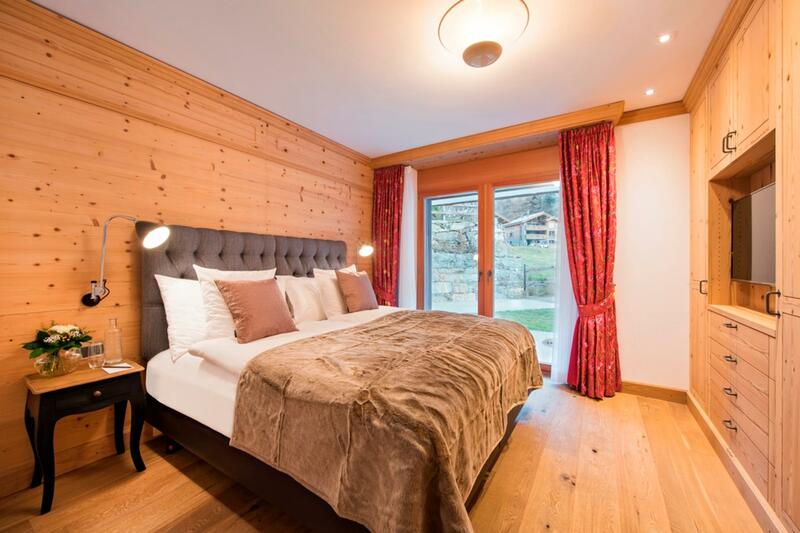 Each bedroom can be configured as a double bedroom with single duvets. 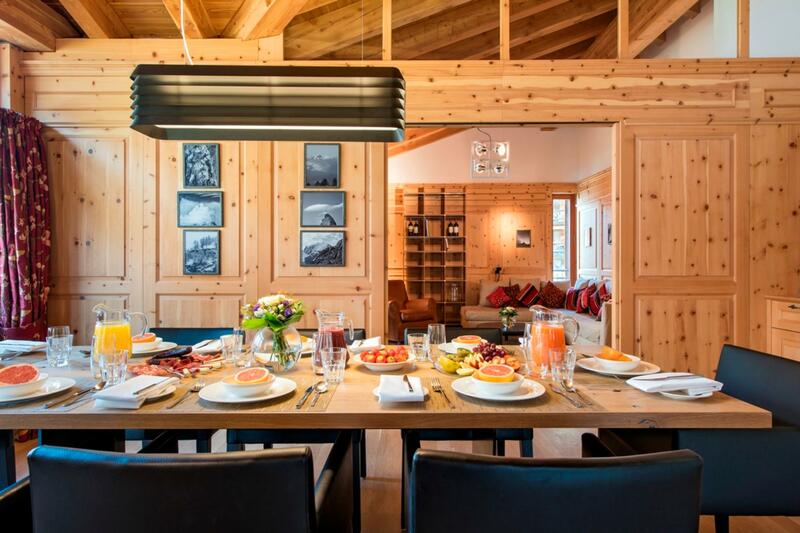 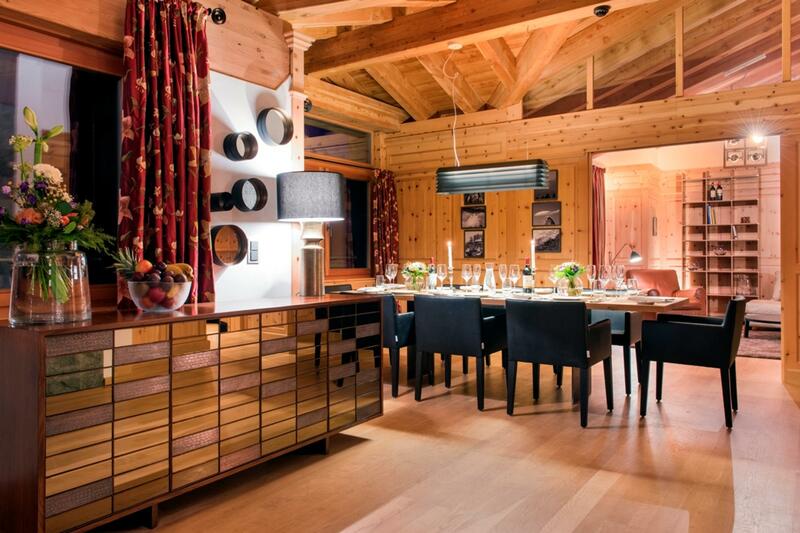 Perfect for large corporate groups or families, the chalet can be taken as one or split into an eight and a twelve-person apartment for smaller groups. 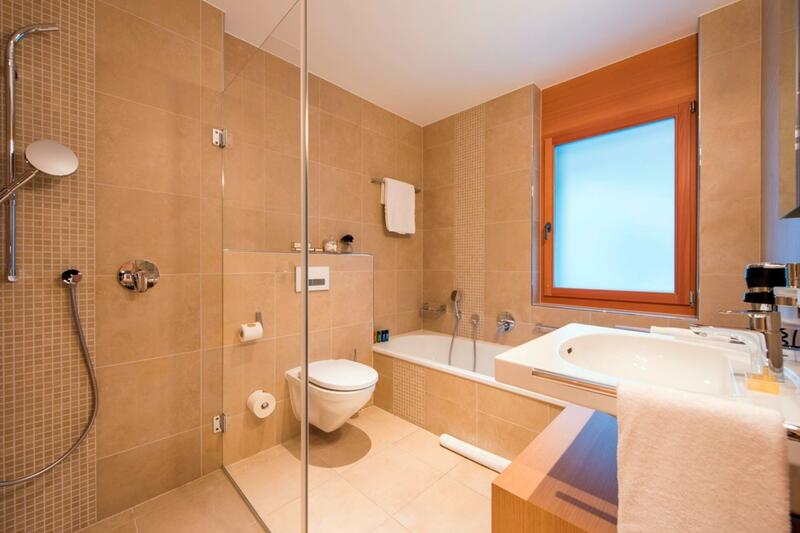 When the apartments are split, each have their own living spaces and facilities allowing for maximum comfort. 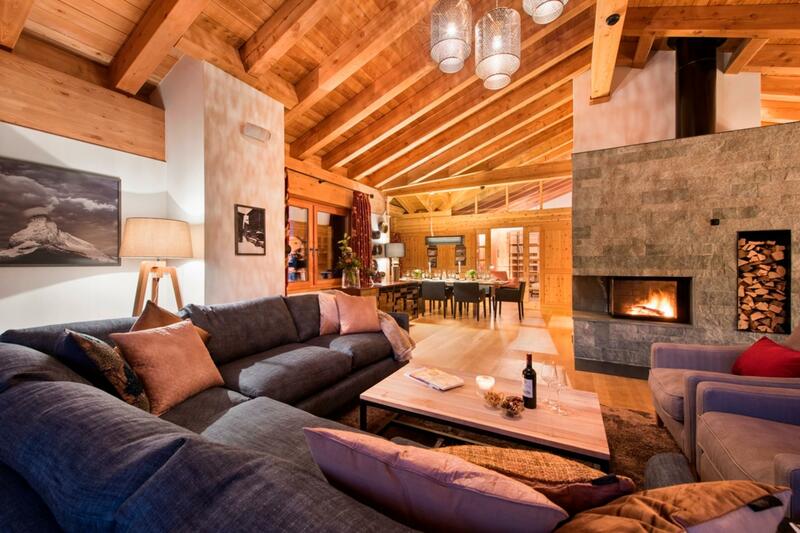 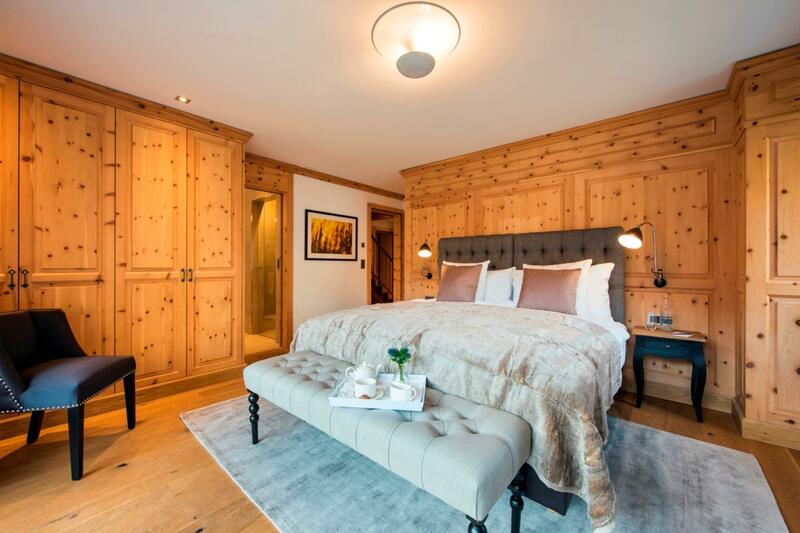 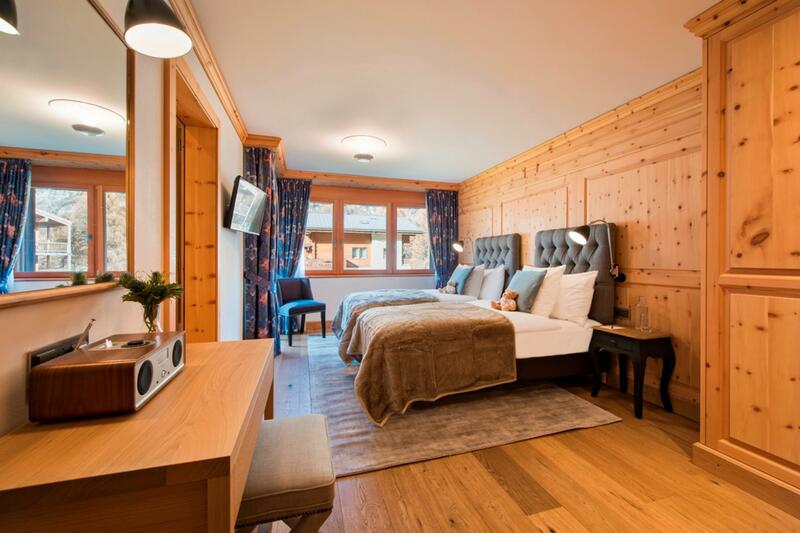 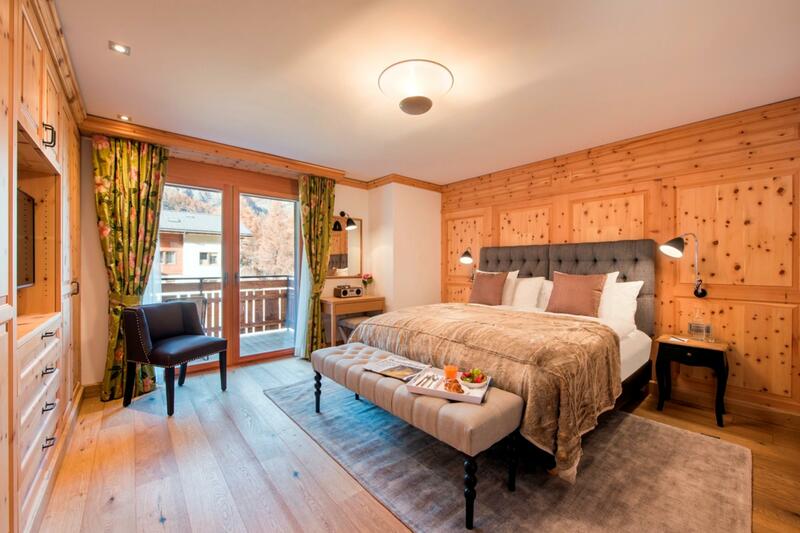 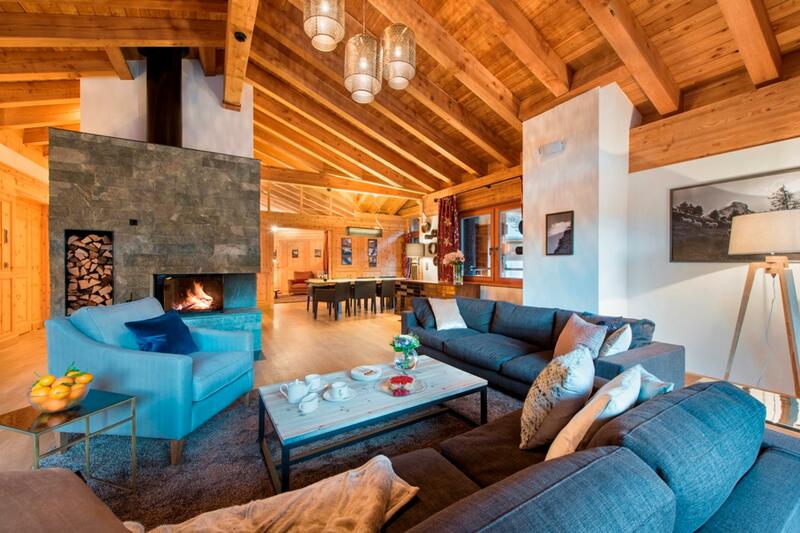 Traditional alpine wood and timber is used throughout the chalet combined with especially selected soft furnishings to create a relaxing and cosy atmosphere. 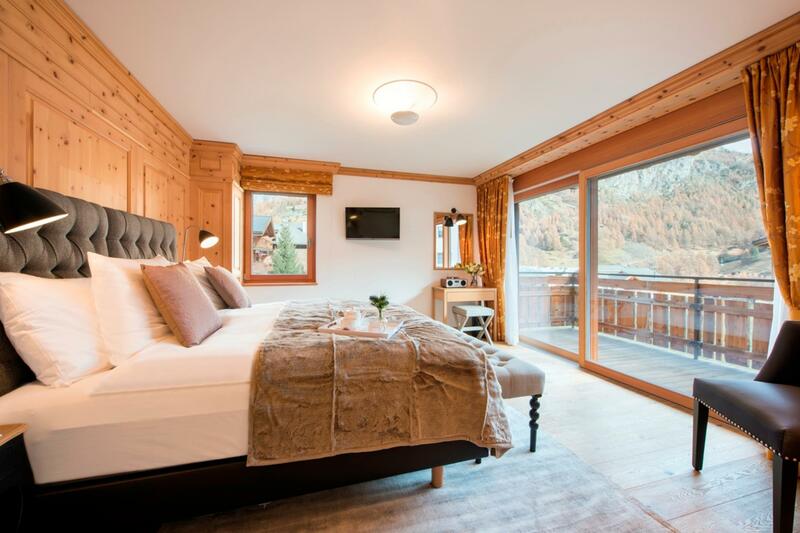 The top floor of Chalet Shalimar is dedicated to the living and dining rooms which have floor to ceiling sliding doors allowing light to flood in. 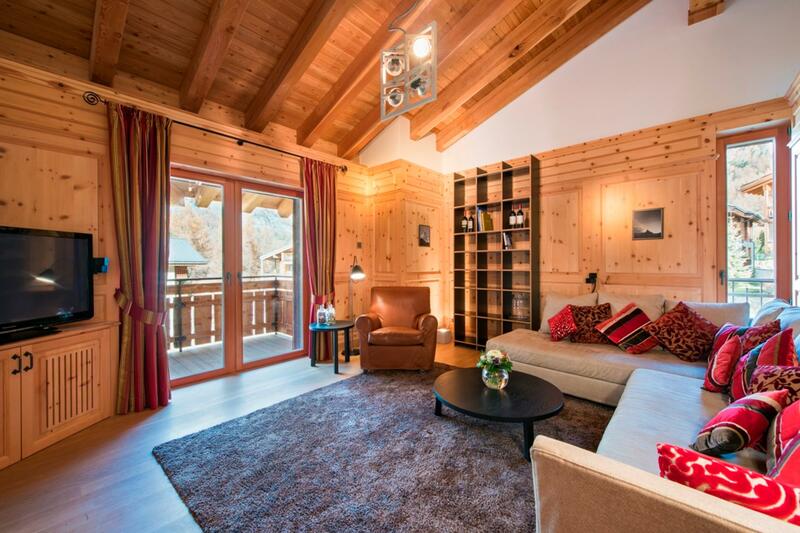 The spacious balconies afford breathtaking views of the Matterhorn providing the perfect backdrop for a pre-dinner drink or for soaking in the rays in the warmer spring months. 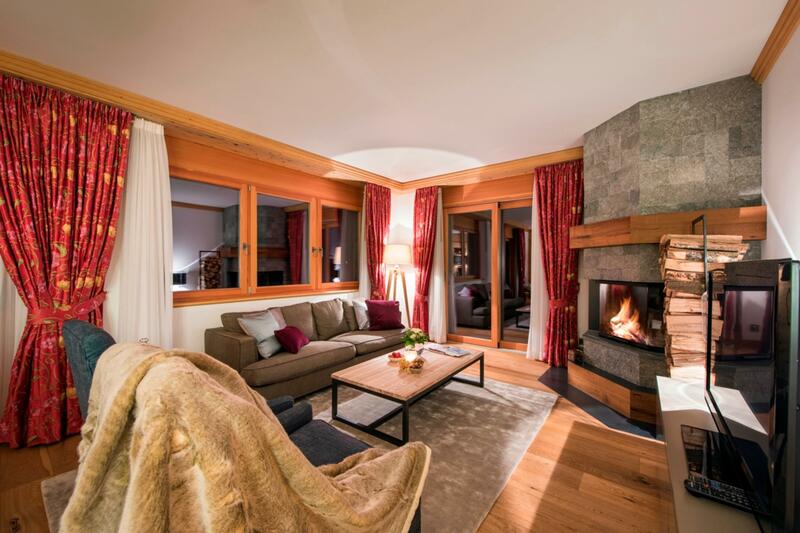 After the sun sets, relax and unwind on the sumptuous sofas in front of the roaring fire. 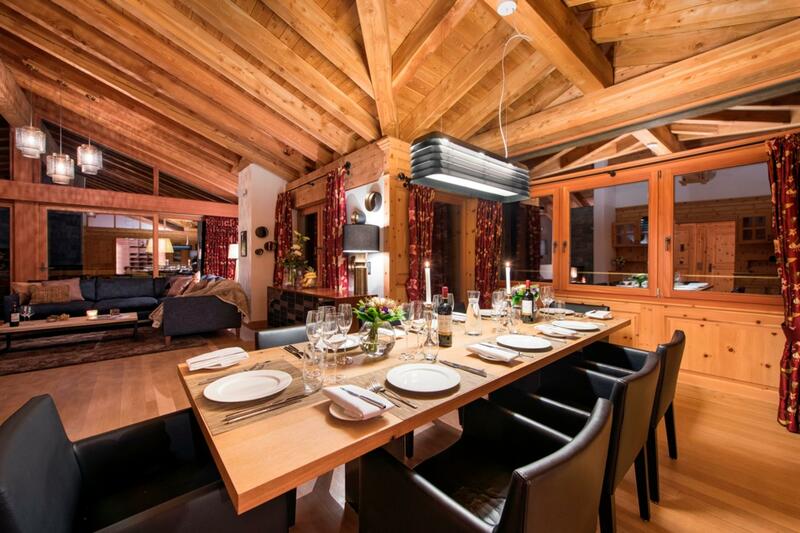 When the chalet is taken as a whole, one side of the top floor is transformed into the main dining room seating 20 people comfortably and the other side is transformed into the main living area. 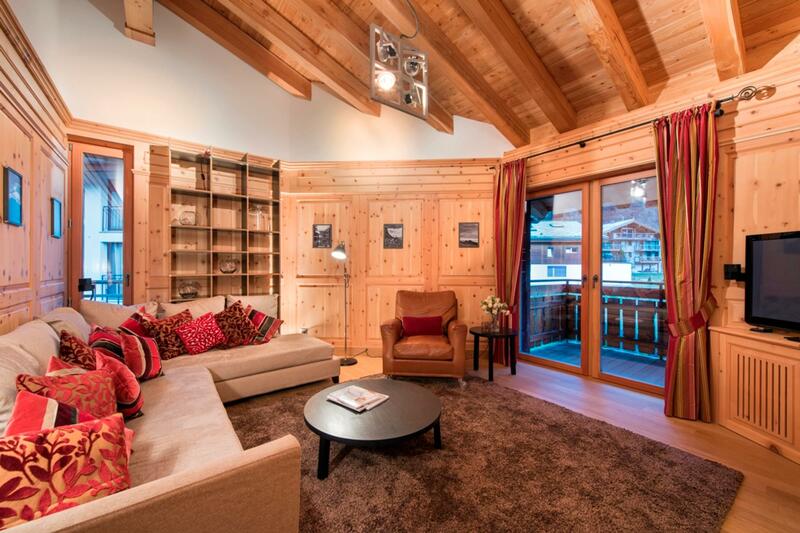 There are two further smaller living areas and two entertainment rooms, meaning there is plenty of space to find a quiet corner to relax away from the group. 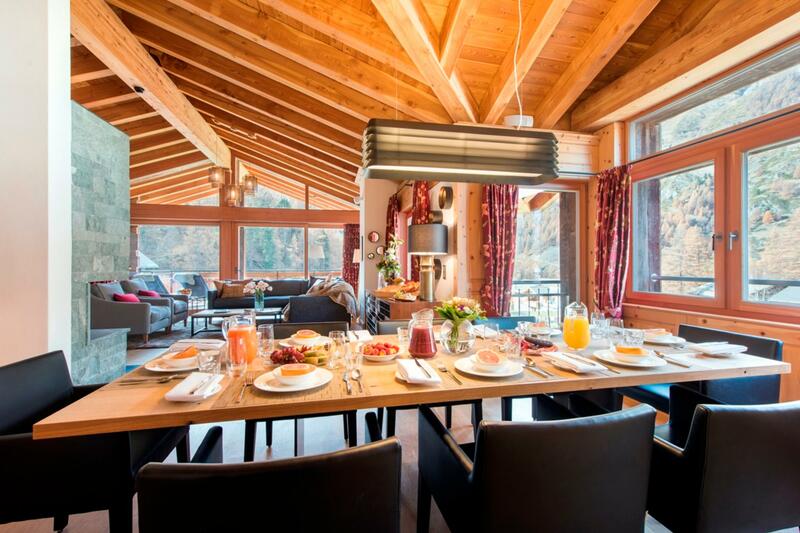 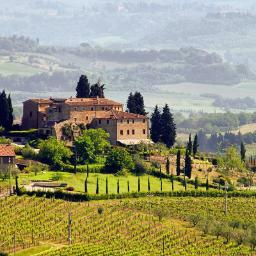 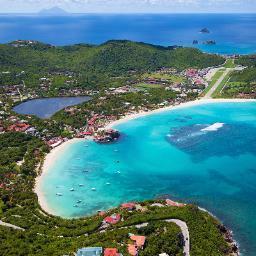 The chalet is sold on a catered or self-catered basis.